The Kizer Kane folding knife is the Vanguard version of Matt Degnan's popular custom knife model. Kizer has translated the design in impressive fashion and used materials that are both durable and affordable. The handle consists of green G-10 scales and polished steel bolsters. 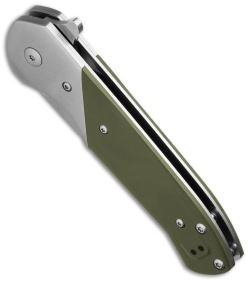 This gives an elegant collectible appearance to the knife while providing a smooth, comfortable grip. 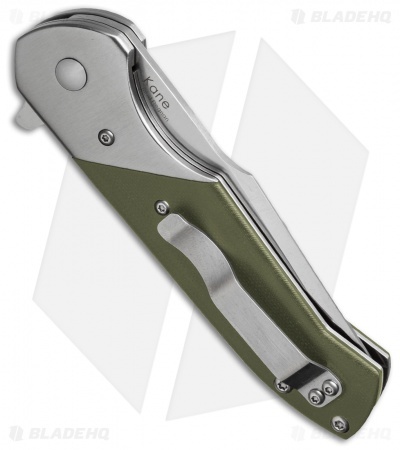 Experience a custom design at an affordable price point, with the Kizer Kane. 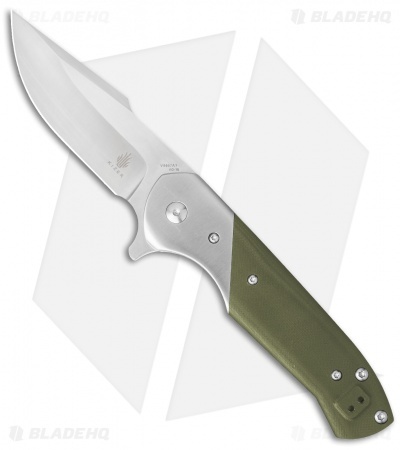 This version of the Kane comes with a VG-10 steel blade in a stonewash finish.